Today I will hug a few trees . . . and send extra happy greetings to the Space People in the cloud above the backyard pool in which stands . . .both erect and pregnant . 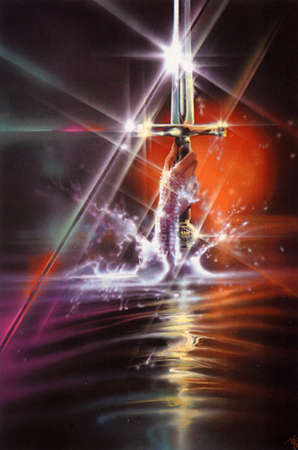 . . the sword of The Lady OF the Lake.